Amber Heard's Paranoia was a bust at the box office. At this point in her career, Heard is still waiting for her first professional hit. But even though she hasn't had one, she's still afforded the opportunities, the profile (magazine covers, interviews, invitations) normally extended to those whose work people have actually seen. Why is this, do you think? 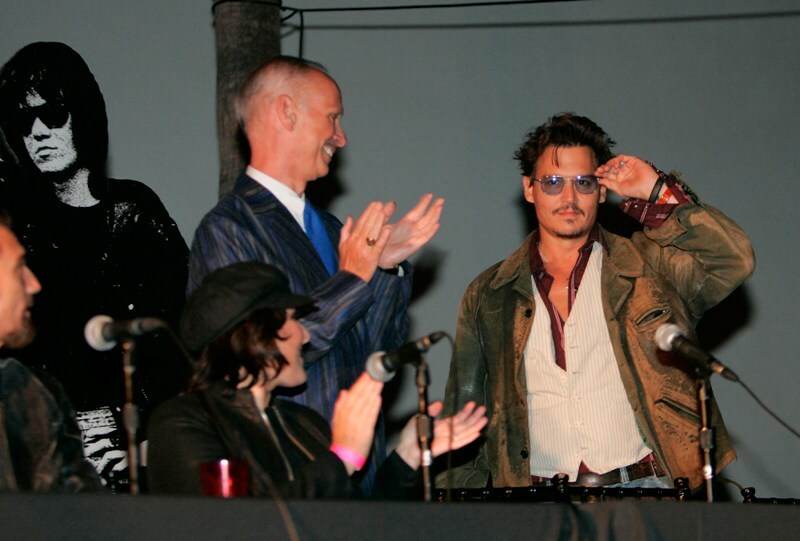 Oh, here's Amber holding Johnny Depp's hand this weekend at the 9th Annual Johnny Ramone Tribute at Hollywood Forever. Amber Heard wants to be Angelina Jolie. But I wonder if she isn't more...Mrs Timberlake?